A great digitally controlled mic preamp begins with a great-sounding analog circuit. This is why we spent years perfecting our XMAX Class A mic preamp design. Equally at home in the studio or on stage, the XMAX design provides high headroom, low noise, wide dynamic range, and extended frequency response that you will instantly recognize by its musicality and transparency. The Class A circuits in the XMAX design have no crossover distortion for transparent audio. Backed by 30V power rails, the XMAX mic preamp delivers more headroom, deeper lows, smoother highs, and a richer overall sound. The discrete design of the XMAX microphone preamplifier ensures ultra-low noise and transparency. The net result is a mic preamp that lets mic’d signals shine through your mix without any coloration and sound as pure as their source. 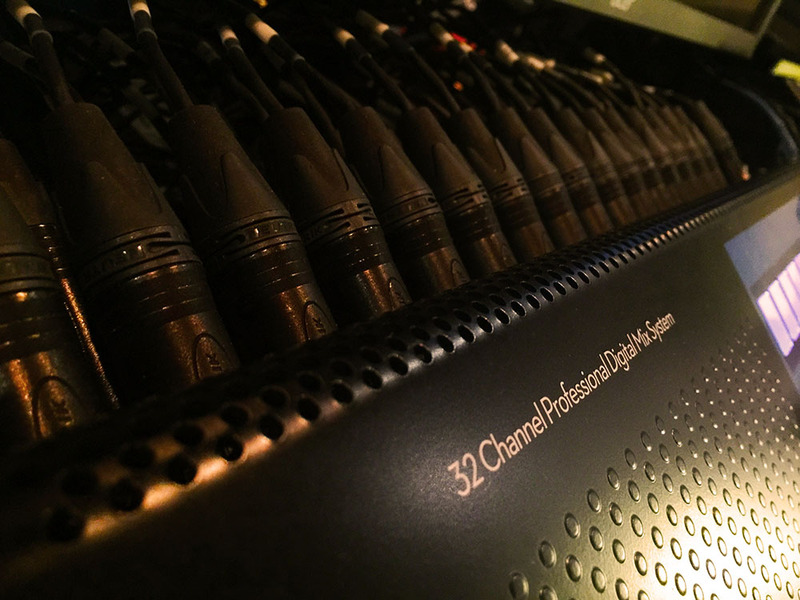 In 1995, PreSonus patented digital control over analog circuits with our first studio product. The PreSonus DCP-8 was a groundbreaking 8-channel dynamics processor in that every dynamics circuit was pure analog but every processor was controlled by a digital microprocessor, facilitating a compact rackmountable form factor. Building on this legacy, we created a separate digital volume-control circuit ahead of our lauded analog XMAX mic preamp design, providing the convenience of digital recall without sacrificing fidelity. This allows the XMAX-Remote mic preamp design to be remote-controlled with UC Surface software or Studio One, and recall mic preamp trim values along with the other settings.